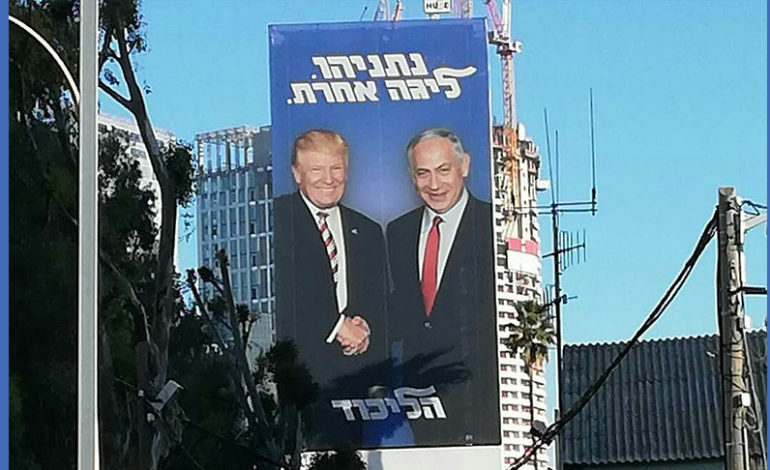 TEL AVIV — As Israel’s April 9 elections approaches with a possible indictment on corruption charges, Prime Minister Benjamin Netenyahu’s advisers are channeling President Trump’s use of social media to sway the opinions of millions of his social media followers. His young campaign advisers are sending out a steady supply of memes and video clips on Instagram, Facebook, Twitter and YouTube to boost his profile and trash his daunting opponent. The one theme that is constant in Netanyahu’s social media generated content is that Israel’s left-wing media is out to topple him. 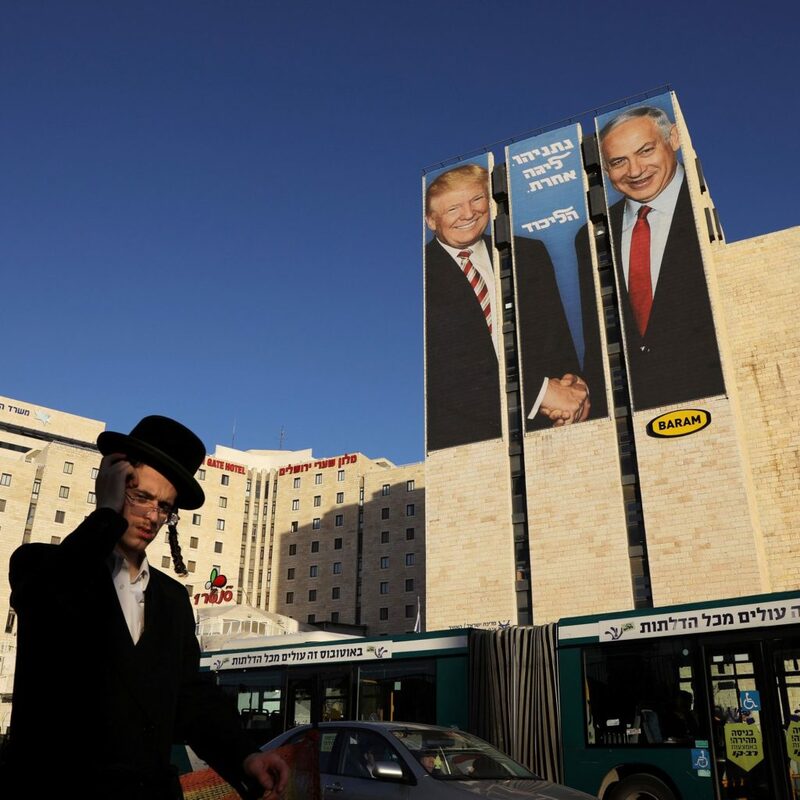 Likud, Netanyahu’s party and Israel’s right-wing flagship, opposes a Palestinian state, supports settlements and encourages privatization in the economy — but its main selling point is the longtime prime minister, who is seeking his fifth term. Blue and White is a new centrist coalition led by a former military chief of staff, Benny Gantz, an opponent who’s proving to become a challenge for Netanyahu’s campaign. It was created to oppose Netanyahu and his alleged corruption. Arab Israeli candidates are Hadash-Taal, who supports Palestinian statehood and advocates for Israel’s Arab minority, and Balad-Raam, who supports Israel being a secular state for all its citizens and no longer a Jewish state. On Monday, Netanyahu circulated a video attacking the Israeli newspaper Yediot Ahronot after it, and The New York Times, reported that an Israeli watchdog group discovered what it called a “manipulative” network of hundreds of fake and suspicious Twitter and Facebook accounts promoting Netanyahu’s Likud party campaign. “Did you read in Yediot Ahronot? They’re calling you Likud voters ‘bots,'” a narrator says in the video. In 2015, on the afternoon of Election Day, Netanyahu warned on Facebook that Arab voters were “streaming in great numbers to the polls, bused in by left-wing NGOs”, even though there was no evidence showing that any Arabs relied on the Jewish-left to transport them to their polling places. However, the prime minister’s “SOS” did attract previously apathetic right-wing Jewish traffic to leave their comfortable homes and vote. The Arab community could fall below 50 percent on April 9 according to Haaretz News. “It’s like ‘a soccer game in which the Jewish right and center-left are the two teams and the Arabs are the ball. Everybody’s kicking us and neither team wants us,’ says one expert,” the paper added. A woman threw a tomato at Netanyahu on Tuesday during a campaign stop in Tel Aviv and his Likud party claimed video of the incident was spread by his chief political rival. Netanyahu was not affected. He was surrounded by a large number of police and security guards as he toured the Hatikva Market with his wife, Sara, ahead of general elections next week.